You register online but you will still need to come into the practice to register as we need to see proof of your ID and the registration form needs to be signed by you.. In order to register we need proof of your address by way of a recent utility bill, mortgage statement or tenancy agreement. We also require one form of photographic ID such as a passport or driving licence. You will need to complete a registration form (GMS1) and a health questionnaire which can either be completed online or can be obtained from the surgery, which will provide useful information whilst we wait for your medical records to arrive from your previous doctor. Please note that you will be registering with the practice and not an individual doctor. All new patients are offered a health check with a member of the healthcare team to ensure that any required tests are up to date and that we have an accurate note of any repeat medication you may be taking. You will also be given an appointment wit our Pharmacist or GP if you take regular medication. 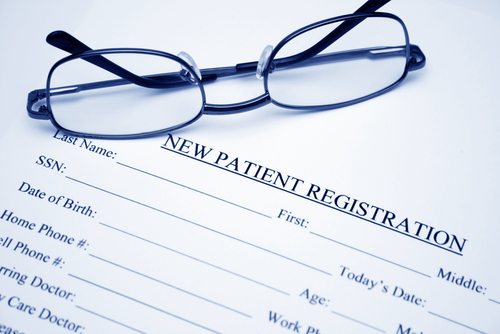 If you live within our practice area, you are eligible to register as a patient. It is our policy to accept all patients irrespective of patients' age, gender, race, religion, ethnicity, social class, appearance, sexual orientation or medical condition. In order to register we need to see proof of your address, by way of a recent utility bill, mortgage statement or tenancy agreement. We also require one form of photographic ID such as a passport or driving licence. If you do not provide this information the practice will not be able to register you as a patient. You will need to complete some registration forms and will be invited to make an appointment with the practice nurse for a simple health check. If you possess a NHS medical card please bring it along with you at registration.